Can you think of a better love affair than European nights and Real Madrid? I am pretty sure you can’t. Los Blancos have been going through a torrid campaign domestically, they are out of Copa Del Rey, and have no realistic chance of defending their La Liga crown. 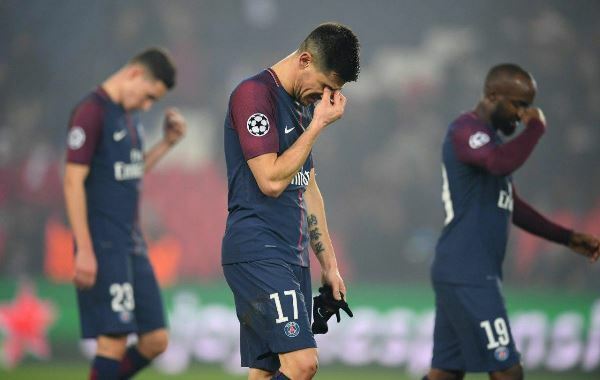 However, at Europe’s elite competition, they once again transcended to an entirely different level to tarnish Paris Saint-Germain’s (PSG) hopes of Champions League success, at a time when the contrary seemed more likely. Not a bad way for Madridistas to celebrate the club’s 116th anniversary. The path to the quarterfinals was paved at the Santiago Bernabéu with a 3-1 win. A clinical display by the Whites, in the away match at Paris, was enough to ensure that they remained largely unthreatened during the Round of 16 draw. After a tame end to 2017, Ronaldo is once again peaking at the right time, having regained his goal-scoring form. 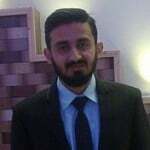 With all the talks about him slowing down and losing his effectiveness, it is amazing how he keeps on turning up with goods when his team needs him the most, hallmark of a truly great player. While Ronaldo was lethal in front of the goal, the main catalyst in attack over the two legs was young Asensio. He cuts such a calm and composed figure on the field and seems unfazed and immune to pressures of a big match. He plays like a player with a wealth of experience, despite being at the top level for very little time. 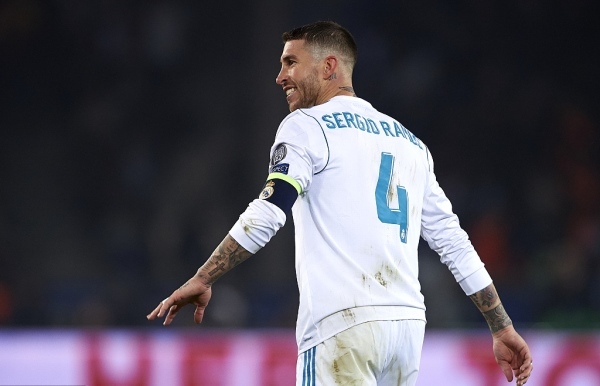 The Spanish player was instrumental in Real Madrid’s late two goals at home; he showed his magic in the first leg as soon as he came off the bench. In the second leg, the way he set up the first goal at the Parc des Princes was more or less a work of art. Asensio dispossessed Dani Alves off the ball near the half way line, swiftly ran down the left flank and then supplied a neat vertical pass for Lucas Vásquez after having spotted his run, which eventually led to the goal scored by Ronaldo. Despite going to Paris with a handy two-goal advantage, Real Madrid could not afford any glitches, which is why the absence of Toni Kroos and Luka Modric from the starting eleven was worrisome. Both of these players have massive experience and are lethal weapons for Real. Modric always plays a vital role in calming down the team in difficult circumstances away from home, while Kroos sets the tempo of the game for the team. However, Carlos Casemiro and Mateo Kovacic carved out a surreal display in the midfield to keep PSG at bay. The duo’s ball distribution was efficient, evident from high passing accuracy at 98% and 92% for the Brazilian and Croatian respectively. Casemiro dealt with crosses in defence, while Kovacic denied Kylian Mbappe and Angel Di Maria by making couple of crucial interceptions, as they tried to launch an attack. This was probably Kovacic’s best game since the pre-season Spanish Super Cup display against Barcelona. Casemiro, who has had a mixed bag season, was also up for the task and was rewarded with a goal for his efforts which put the tie beyond PSG. Real Madrid has been defensively vulnerable during the season, but over the course of these two legs, they showed little signs of that. They were sturdy in defence, led by Sergio Ramos and Raphael Varane, and ably supported on the flanks by Marcelo and Dani Carvajal. This was crucial as the pace in PSG’s forward line could have easily posed a lot of trouble, especially on the counter. Ramos might get some stupid red cards here and there, but this was one of those many occasions where he was rock solid in defence in a tough fixture. Where did the Parisians go wrong? 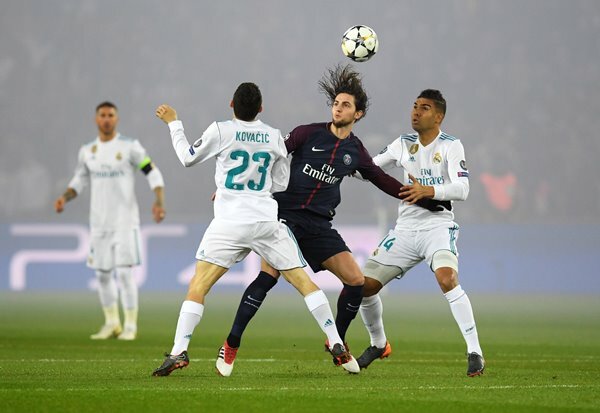 Although PSG had the ability to secure a spot in the quarterfinals, but it was the first leg where the French powerhouse lost control of the tie. The first half of the fixture could have gone any way up until it was 1-1, but Real Madrid clicked into another gear as they notched up two goals in the final 10 minutes to strengthen their chances of going through. Unai Emery’s wonky substitutions also played a crucial role in the final phase in Madrid. The decision to replace Edinson Cavani with Thomas Meunier and pushing Alves forward on the right flank backfired as both of Madrid’s second and third goals came through Madrid’s left flank (PSG’s right). Moreover, to slot in Julian Draxler in midfield instead of a more attacking option in Di Maria left most of the supporters scratching their heads. Using Giovani Lo Celso as a defensive midfielder instead of Lassana Diarra or Thiago Motta also cost them, as that is not his natural position. He is more suited in an attacking midfield role, and his sloppiness resulted in a penalty for Madrid as well, and everything went downhill for PSG from there. Neymar totally dominated Real Madrid by gliding past their defence in the first leg, and Emery must have missed his most valuable player dearly in the second leg as his team lacked creativity heading forward. The PSG team looked disjointed in attack and seemed to lack the cutting edge to break through Real’s defence. Cavani literally spent the entire first half arguing with the referee and getting into the face of Madrid players while Mbappe fluffed a great opportunity to score when he decided against passing to Cavani, who was open on goal, and took a shot himself. The tie could have flung wide open had Mbappe been slightly more sensible in his decision-making. Real Madrid have shown the ability to score frequently in away games of Champions League in the past few seasons and it was never going to be an easy pushover, and Neymar’s absence further decreased PSG’s chances. Zidane has been guilty of making some bizarre substitutions over the course of the season, but that night in the first leg, he pretty much nailed it with the introduction of Gareth Bale and Asensio, which had a major say on the outcome of the match. His decision to opt for a 4-4-2 formation and benching both Bale and Isco raised some eyebrows when the team sheets came out in Paris, but once again, Zizou outgunned his counterpart Emery and reaped the rewards for being braver of the two managers. This victory means a lot for Zidane and the Spanish giants as it keeps their hopes alive for some silverware at the end of the season. 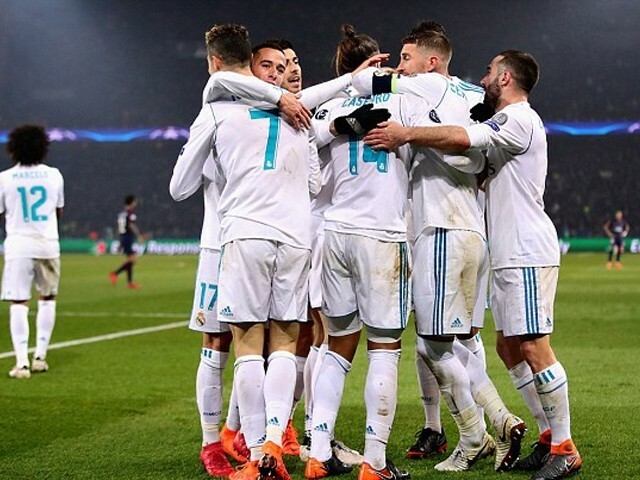 Real Madrid is on course for a third consecutive UCL title, and in this kind of form, it is going to be hard to bet against them going all the way once again.